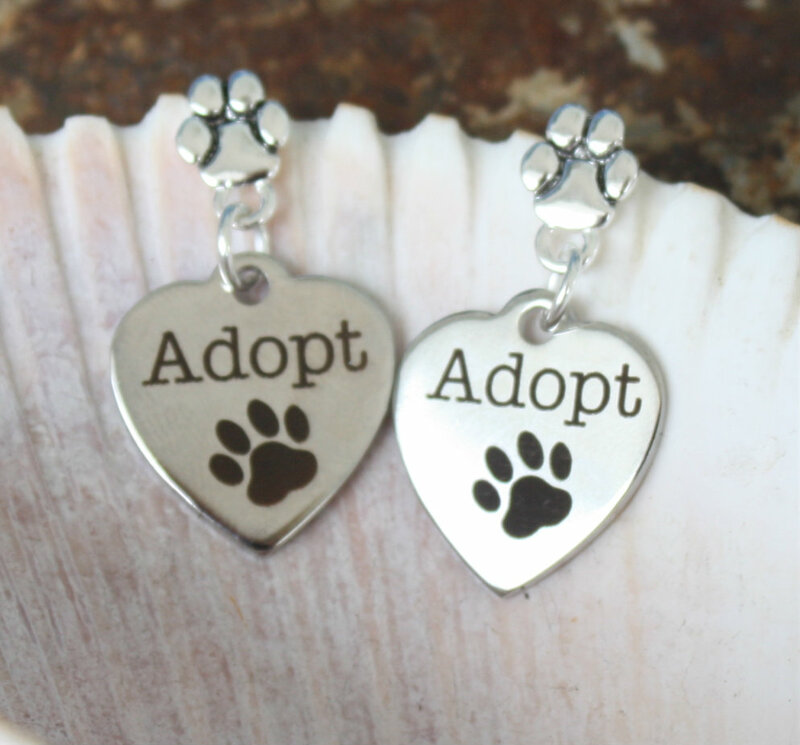 Show your love for adopting dogs with these beautiful stainless steel hearts with the word Adopt on them and a paw. 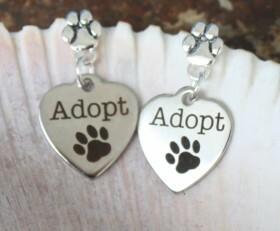 Choose your crystal color for the post OR a paw post. 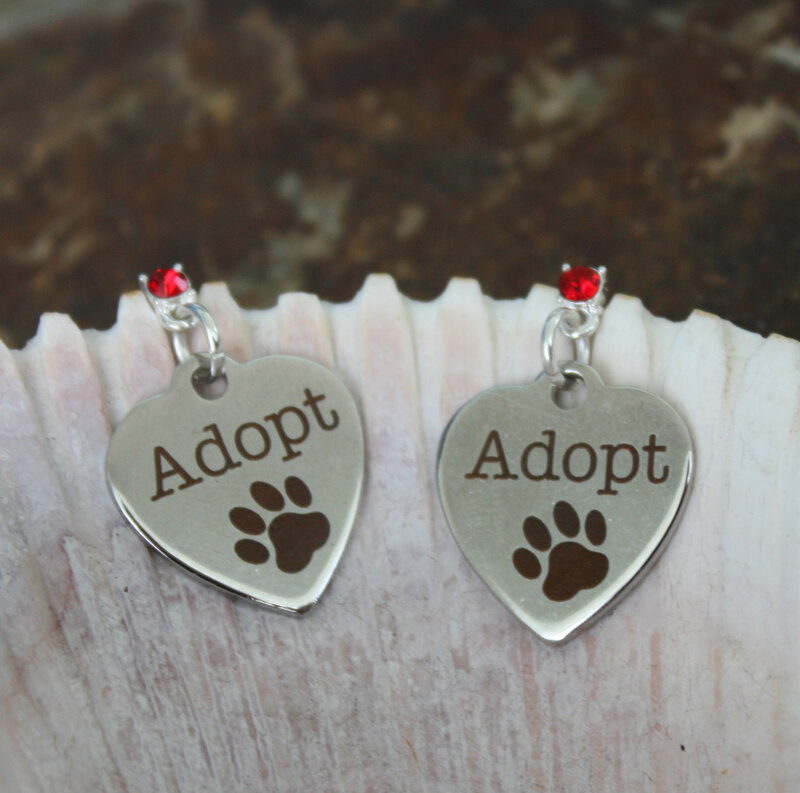 Categories: Animals, Dog Earrings, Dog Lovers Jewelry, New, Rescue Dog Jewelry.